need to provide your personal Airtel number but for some reason you just don't know your Airtel number details and you ask yourself how do i check my Airtel number? This post contain vital information on how you can easily and swiftly check your Airtel number using ussd code. Your Airtel number will be displayed to you straight from your sim card you don't even need to have credit on your phone or have an active internet connection or a smart phone all you need to do is to dial the ussd code from your mobile phone and your Airtel number will be displayed to you immediately. 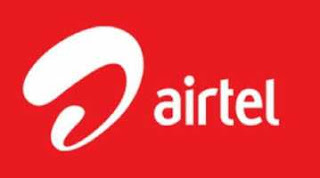 Airtel is one of the top network provider in Nigeria,the company is headquartered in New Delhi,India and operates in 20 countries spanning across South Asia and Africa. Airtel has millions of active Nigerian subcriibers. How To Check Your Airtel Phone Number? Your number will be displayed. This is how you can check your Airtel phone number straight from your mobile phone.